Best A-Line Wedding Dresses from TBDress.com | The Shopaholic Diaries - Indian Fashion, Shopping and Lifestyle Blog ! Every girl in her life surely dreams about her wedding and choosing a perfect and gorgeous wedding dress, don't we? 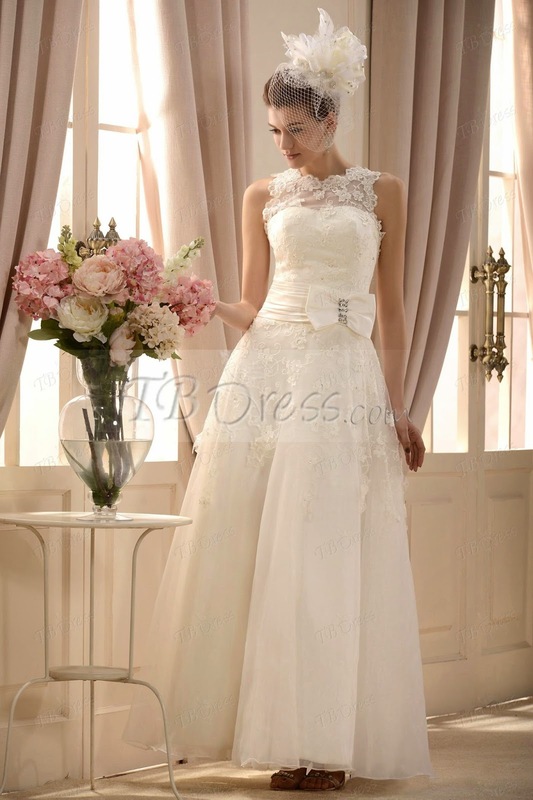 While I don't have my wedding any time soon, it doesn't stop me from checking out beautiful wedding gowns on different online shopping websites. And as I was browsing the collection of A-line wedding dresses (http://www.tbdress.com/Cheap-A-Line-Wedding-Dresses-5479/ ) at TBDress.com, I came across some exquisite gowns which really caught my fancy. These dresses can be customized to fit you perfectly and can be shipped worldwide. Isn't it the perfect thing to get your dream dress shipped right at your doorstep? My absolute favorite from these 5 gowns is undoubtedly the tiered lace wedding dress which has a romantic long trail. For a more comfortable wear option, I will choose the one-shoulder wedding gown which has a more modern vibe and unique style. Which of these gowns is your favorite? Let me know in the comments below. 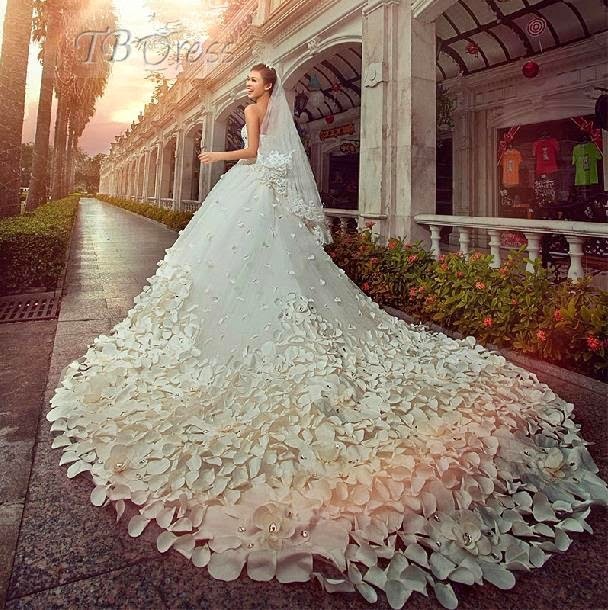 These wedding gowns are just gorgeous. I love the 4th gown. It's uniquely designed.